Incorporated in 1873, Apex was one of the first towns to develop near the state capitol, Raleigh. Image courtesy of the Apex Chamber of Commerce. The railroad played an integral part in Apex's history. Today, the Apex Train Depot houses the Apex Chamber of Commerce. Image courtesy of the Apex Chamber of Commerce. 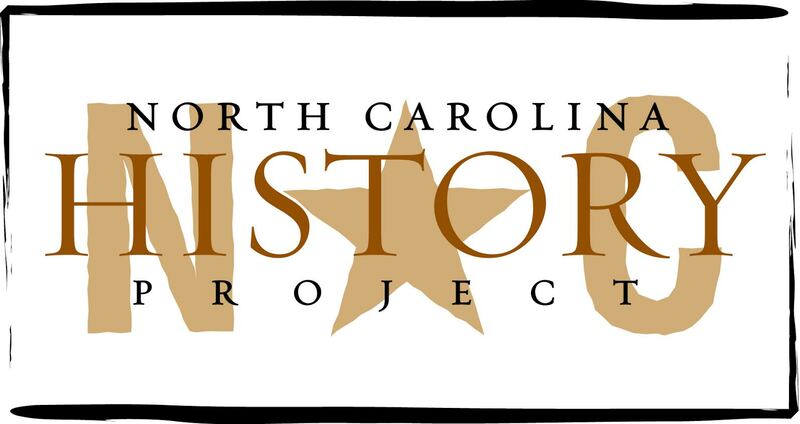 Downtown Apex reminds citizens of their rich history yet reveals economic changes throughout time. Image courtesy of the Apex Chamber of Commerce. Originally named “Apex” because it was the highest point on the Chatham Railroad line between Richmond, Virginia and Jacksonville, Florida, the town of Apex still exemplifies its motto: “Peak of Good Living.” Although a little over 30,000 people reside there, and many industries have moved to the area, Apex remains a quaint place to live. The railroad played an integral part of Apex’s early history. In 1854, the Apex railroad station was chartered. In the 1860s, private landowners settled the area, and in 1873 incorporated the town. Around the train station, a community formed and farms started dotting the landscape. One of the first towns to develop near the state capital of Raleigh, Apex evolved into a bustling trading and shopping center. In spite of unfortunate circumstances, Apex continued experiencing growth in the early 1900s. When the tobacco disease called “The Granville Wilt” despoiled Person and Granville County farms, displaced farmers found fertile land for growing tobacco in Apex and its vicinity. In February 1905, a fire consumed many frame commercial buildings. With an indomitable spirit, merchants rebuilt—this time with fireproof brick buildings. On June 12, 1911, the business district was again ablaze. When the smoke cleared, the Merchants and Farmer’s Bank, the postmaster’s house, and many of the old frame stores lay in ashes. By 1913, however, pressed-brick front stores lined the 100 block of Salem Street. In 1914, Union Depot, the town centerpiece, was rebuilt and now serves as the headquarters for the Apex Chamber of Commerce. Throughout Apex’s history, demographic changes resulted primarily from economic changes. From 1900 to 1920, the number of inhabitants increased from 349 to 1,000. Because the tobacco market declined during the 1920s, the number dipped in 1930 to 864. By 1934, only four train stops were made at the Apex depot, thus reflecting the difficult economic times that would continue until the early 1960s. As part of the Triangle’s economic boom of the 1960s, however, Apex grew rapidly. By 1990, the population reached 5,000. The 1990s was a decade of unprecedented growth, as industries moved to the Triangle. By the decade’s end, Apex consisted of over 20,000 denizens. The well-preserved downtown and the trains that pass through, remind citizens and visitors of a bygone era. New subdivisions, shopping centers, and businesses, however, brought welcomed changes and sparked interest in future possibilities. As a result, the “Peak of Good Living” is more than a motto. In Apex, it is a way of life. Carl P. Holleman, Pluck, Perserverance and Paint (Durham, 1973).